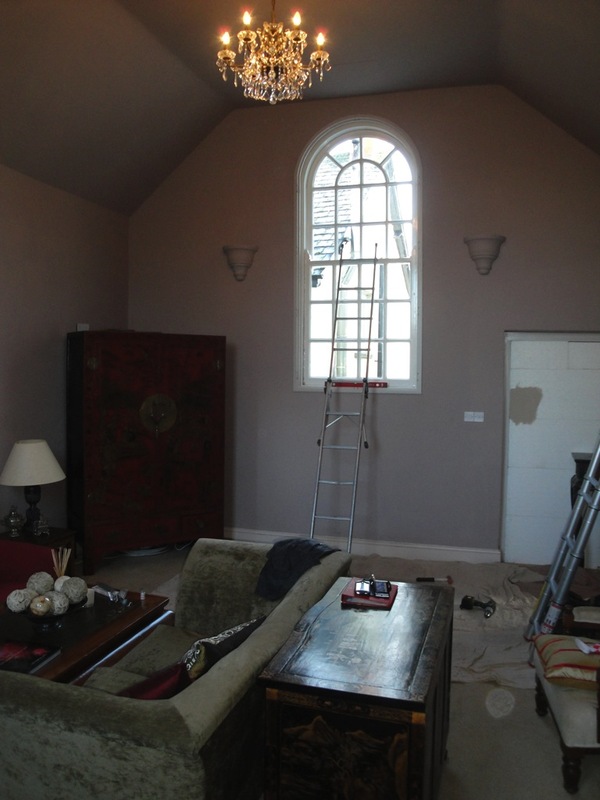 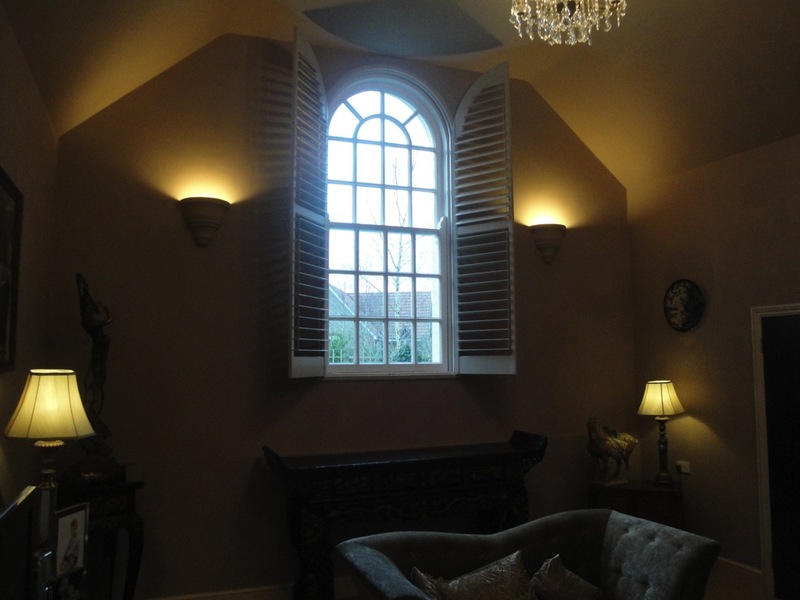 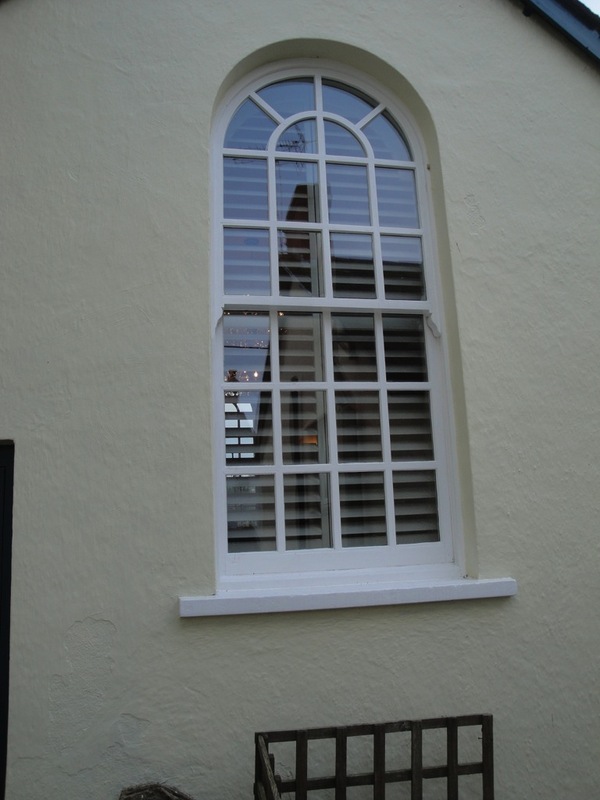 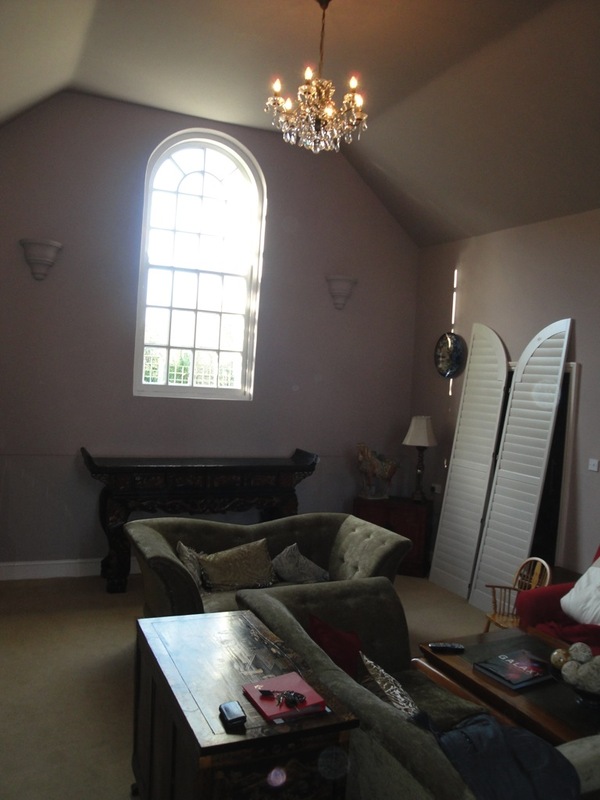 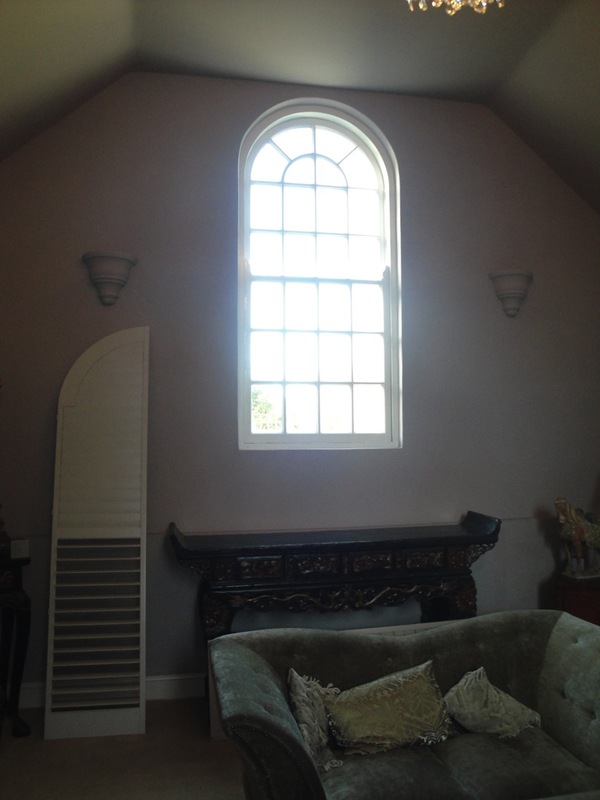 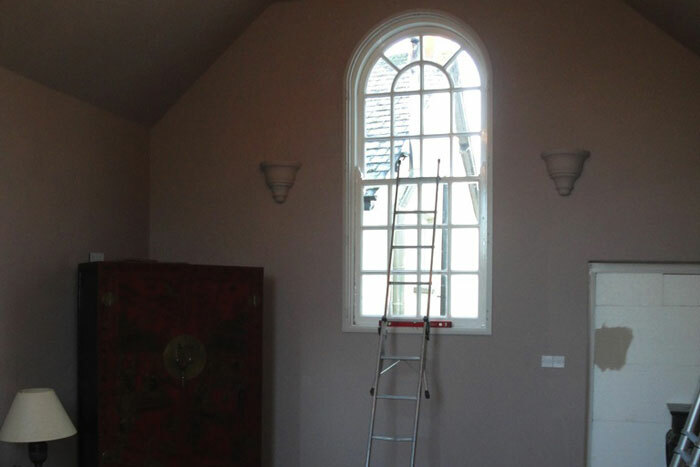 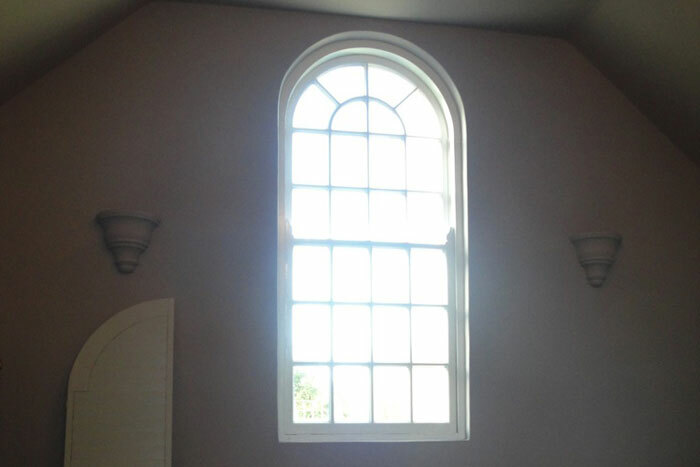 This converted chapel in Devon had large arched windows – the only practical solution was to install our painted hardwood shutters. 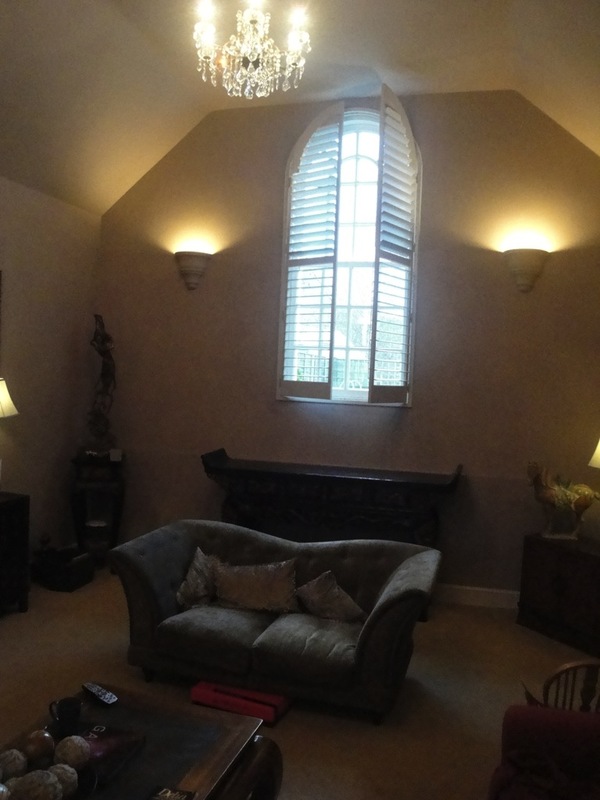 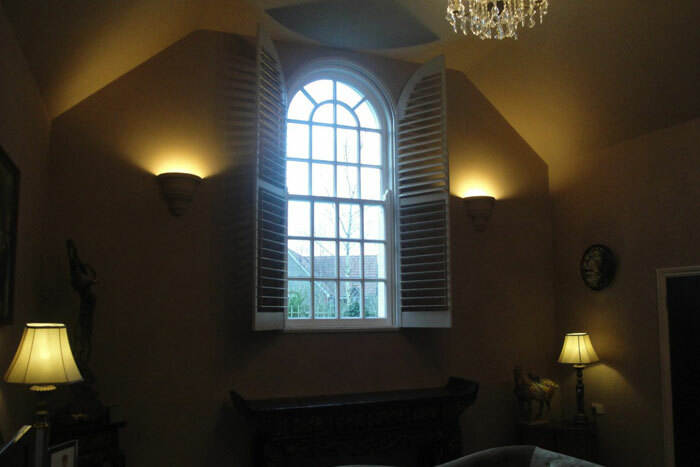 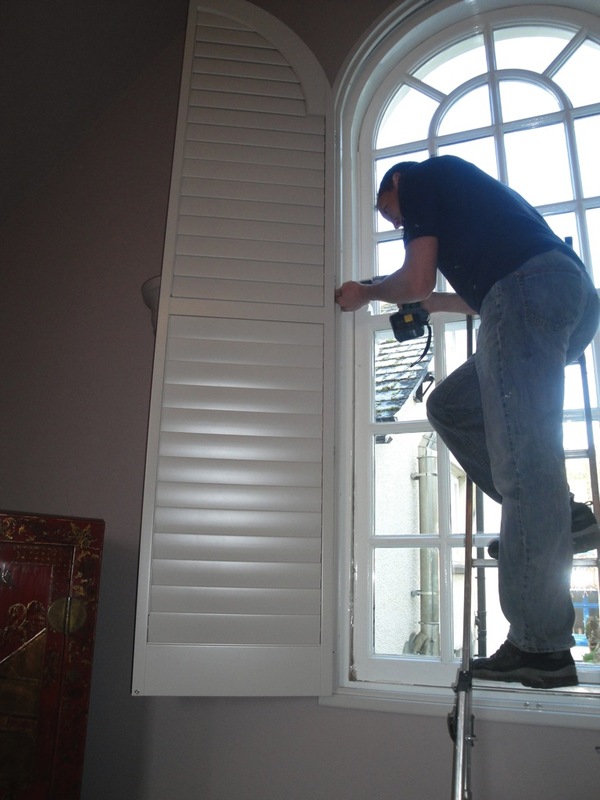 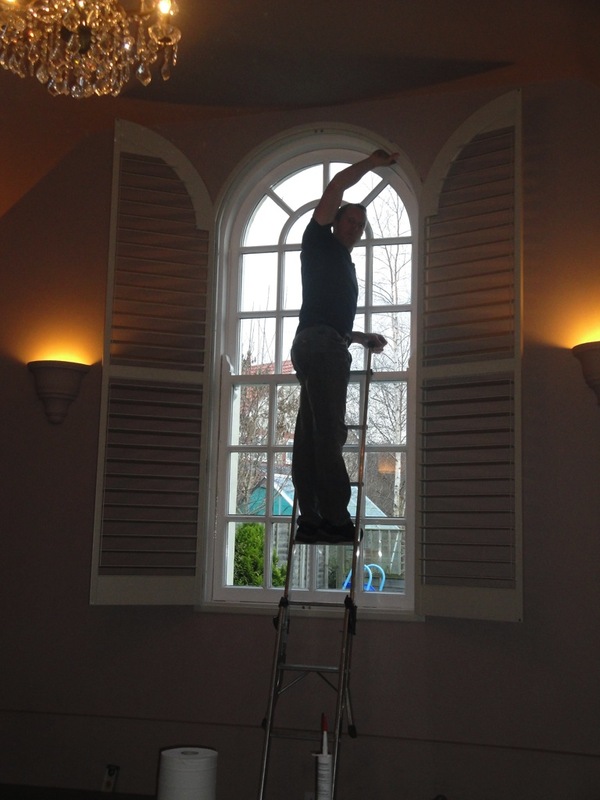 After meticulous measuring, the shutters were installed and gave a really strong design aesthetic to the room as well as blocking out the draughts from the single glazed windows. 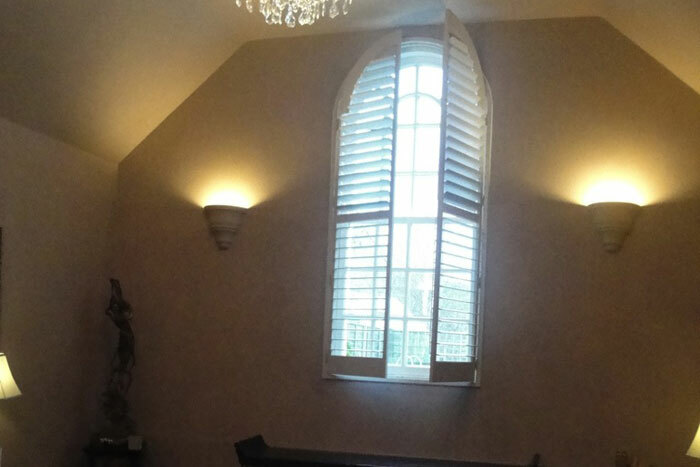 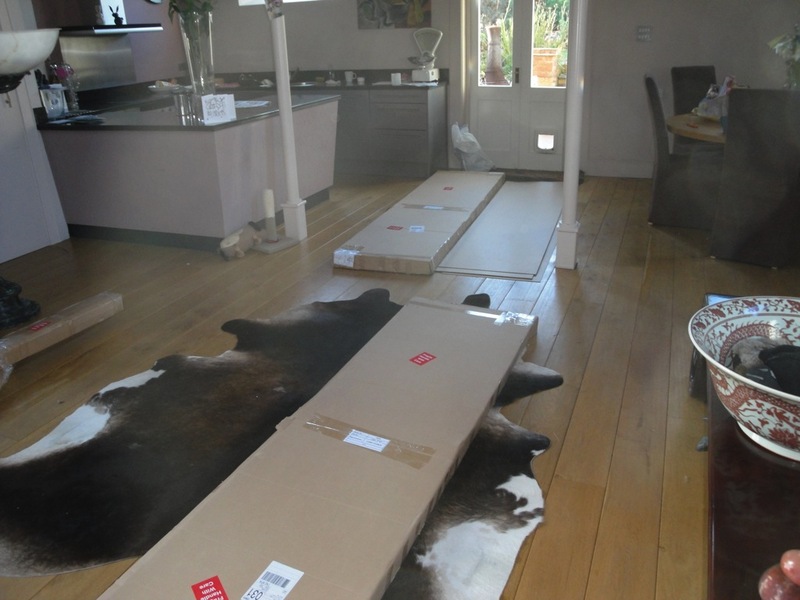 We used large 89mm slats with concealed push rods to give maximum impact.